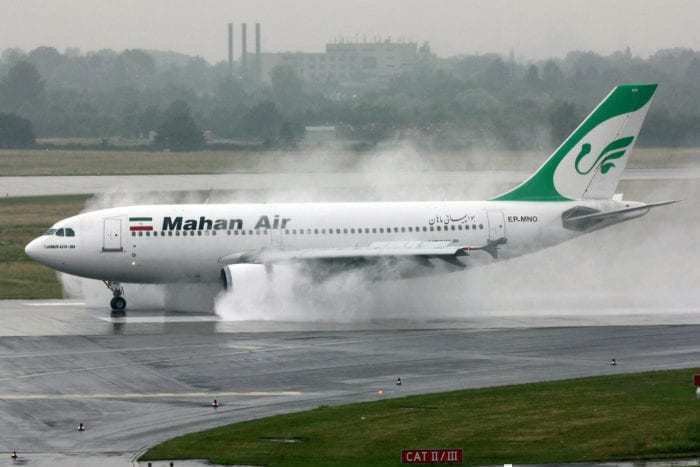 In news that almost sounds like an April Fools, Iran’s Mahan Air has announced plans to fly direct routes to Venezuela. This politically motivated move requires a 16-hour flight, using an old Airbus A340 owned by a banned airline. 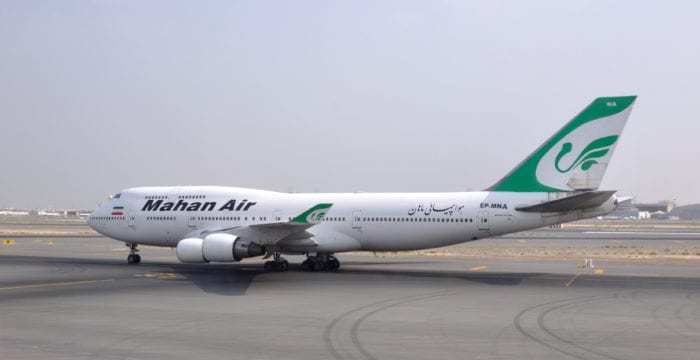 Iran has decided to show support to the regime of Venezuela by launching direct passenger flights between the two countries. 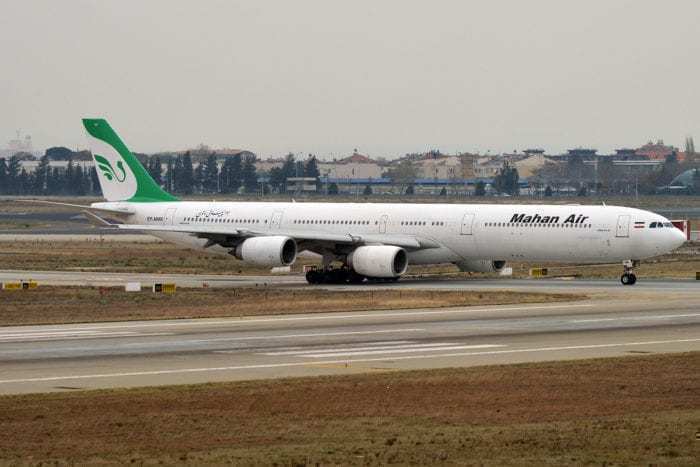 The flight onboard a Mahan Air A340 from Tehran will fly halfway across the known world, and will touch Africa before crossing the Atlantic. This new route is controversial, as Mahan Air is actually banned from the US and European Airspace. They have been accused of transporting military hardware under the guise of civilian transport. Whether or not this new route will also feature ‘soldiers going on vacation with hunting equipment’ remains to be seen. Their fleet of aircraft is also dubious as, due to sanctions, Iran can’t get spare parts for most of their commercial planes. This is the same situation that caused a Norwegian 737 to be trapped in the country with no access to urgent maintenance. The first flight on this route has already taken off on Monday evening, carrying officials to Venezuela to discuss opening up the passenger route. Generally, officials just apply through government agencies when they want to create a new route. With the status of who exactly ‘is’ the government in Venezuela in question, perhaps a personal touch is required. You will be forgiven if you have never heard of this airline. Mahan Air was originally founded back in 1992 as a privately owned airline in the country and today flies to 50 destinations in 18 countries. They had flights to Munich and Paris before the sanctions were imposed in April 2019. But they are still very much flying into other European countries like Italy, Spain, Greece, and Denmark… for now. They have a fleet of 37 Aircraft, including one Boeing 747-300 and seven Airbus A340-600. Unlike most airlines we talk about on Simple Flying, they have no orders and are not able to purchase any new aircraft. They actually have three newer 747-400’s, but can’t fly them without spare parts from the United States (they are currently stored away in hangers) and due to the fact that they are stolen. What do you think? 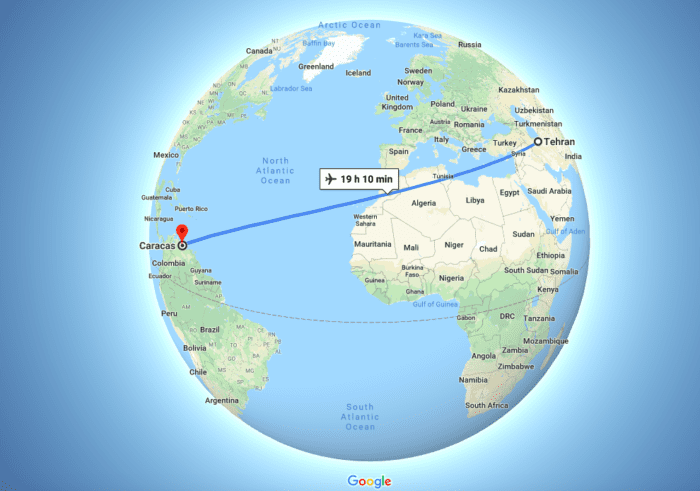 Would you like to fly this route? Ridiculous.Passengers from Iran will starve in Venezuela and remain in the dark every night of their stay since it has electricity shortages and Passengers from Venezuela will not go & visit Iran since they are broke and can hardly feed their families. However both countries can experience flying back and forth between them even if the flights are empty because they have plenty of free fuel. I take umbrage at that statement. Leftists cry when the US stands by and does nothing, but then get upset when the top sponsor of World Terrorism is sanctioned. VZ and Chavez started their oppression of their own, and the US Sanctioned it. They suffer from poor, corrupt leadership, as does most of the 3rd world. Perhaps you should go to Iran or VZ and become a change agent for good, enjoy the largess of the Mullahs, or Maduro, have fun. All we want is for the Trump government to NOT intervene, especially given that VZ has one of the world’s richest oil reserves (despite what VP Pence keeps proclaiming) and the intervention is more for political reasons than humanitarian. Have the UN or other Latin American countries intervene and facilitate free travel and peaceful transition. First, saying that the flight will be empty just because there is arrogance was not a smart comment from Caroline. Iran is definitely suffering because of Trump’s decision to leave the agreement with Iran. What was the reason of the move? However, mentioning that the behavior of the USA as “world policemen” is not always right does not mean that my opinion on those countries is only positive. That might be difficult for you to understand, but it is possible to criticize all the parties involved and to have a balanced opinion. I do believe that the USA are responsible for some regional instabilities. The case of Afghanistan is not 100% in American hands. However, the “war against communism” that the US led to the situation there today. The case of Iraq and Syria is strongly connected to the US intervention in Iraq for “mass murder weapons”. The situation of South America is also very complex and goes far in the past. The left / right violent fight was supported by both USSR and USA. It was not unusual to see governments replaced by a coup, whether led and supported by communist countries, or by the US. So the world is more contrasted in my opinion. And yes, I believe that noone should be arrogant towards one country, one culture and so on. So no arrogance, we don’t know who will do what in the future.